Discussion: How Important is my Blog Design? Okay, so you find a new blog and you like the content. The writer has a really good style and sense of humour. They post regularly about interesting things and they always respond to their comments. Perfect right? Except their blog design is giving you a headache. They have blue text on a green background and their sidebar is cramped with badges and widgets and links (oh my!) that seem to go on for miles down the page. Not only that but it takes five minutes to load one page. Now tell me, if my content is really good, does it matter if my design is really bad? Maybe my design isn’t bad exactly. Maybe it’s just a little bland. Maybe it doesn’t run completely perfectly but it works efficiently enough to not give you a migraine. Is that better? Personally, I wouldn’t normally follow a blog for its fancy design. 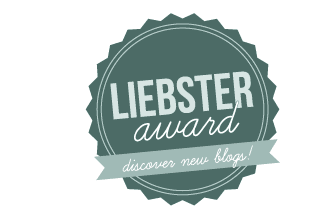 I’ll admit that when a blog is well built it will make me more inclined to check it out. The main thing for me is that the homepage is clean and easy to navigate. Obviously it would also help if the pages loaded quickly and if the text was easy to read. The most important thing is the content of course. That’s the reason I keep coming back. That said, my first impression is based on what I see. If I can’t find your other articles easily or if your posts are hard to read, then I probably won’t return unless your content is ah-mazing. Does anyone feel (a little bit) influenced by a blog’s interface? This event will run on 25th May 12PM (UK Time). Sign up here. Hi, I'm Skye Clover from A Geek with Books. I've been noticing recently that there are a lot of pros and cons that go with making books into movies, so I thought I would share the ones I came up with! 1. It gets people into reading. A lot of people like to read a book BEFORE they see a movie (I am one of those people, except I must), so more people begin to have a love of books. Which is awesome (because books)!! 2. You get to fangirl/boy out. You can show your love for a certain book or series that would look weird if people didn't know what it was (i.e. dressing up like Tris before the movie came out). 3. The book comes to life on screen. Seeing a book on a screen could help you notice what you've never noticed before, and really just bring your favorite book to life, and who doesn't love their favorite actors playing their favorite characters? 4. Watching your friends or family find out what happens when you already know. THIS IS SO MUCH FUN. I know what's coming up next, and they don't. Then, I can watch their oh so hilarious reactions! 1. The movie (usually) isn't as good as the book (to most people). 2. When actors don't look like the characters. This happens SOOOO often. We get all on the actor for being brunette instead of blonde, and can't seem to pay attention to anything else! Even though, in reality, it's most likely not all that important. 3. The genre is EVERYWHERE if the movie does well. Twilight, Twilight, and Twilight. There were SO MANY VAMPIRES. It was like authors forgot other genres existed! Same thing with dystopia, it's dying down now, but for awhile, it was everything in bookstores. What's your opinion? Should books be made into movies? Any of pros you find bad, or cons you find good? Tell me in the comments! Hey, so this week I went to the supermarket to do some shopping. Well, when I was on my way out to the parking lot I saw a giant turtle walking along the pavement! 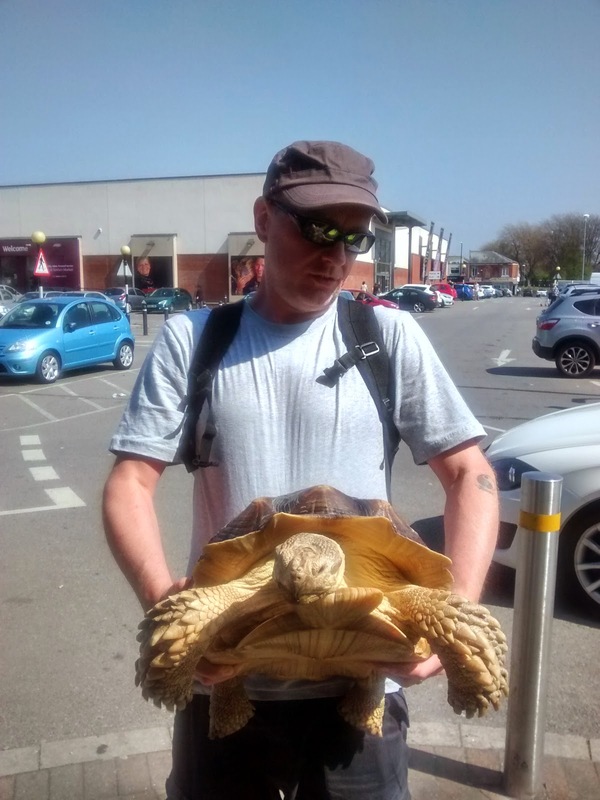 Its owner was taking it for a walk because it was sunny outside. 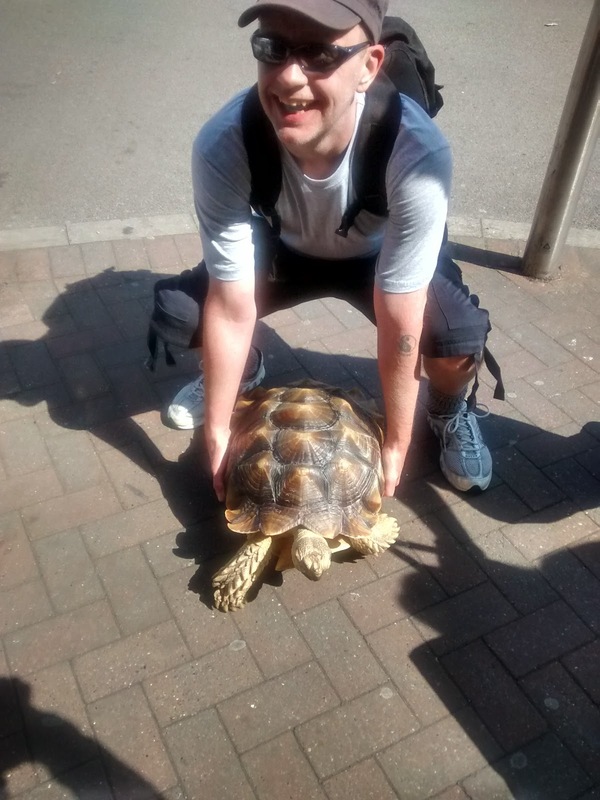 Anyway, apart from learning that you need to take turtles for walks, the guy told me that it weighed 20 kilos, was from the Sahara and was about 5 years old. I asked the guy if I could take a pic and he said yes (I told him I had a blog). So, that’s the most random thing that’s happened to me this week. Has anything random happened to you this week or any other week for that matter? Let me know in the comments! 1. The skin is 64% water, muscles and kidneys are 79%, and even the bones are watery: 31%. 2. Coffee doesn't taste like it smells because saliva wipes out half of the flavor. 3. A Giraffe's legs alone are taller than most humans: about 6 feet (1.81 m). 4. Oceans covers 71% of the Earth's surface. 5. Liposuctioned human fat can be recycled as fuel. I read Sisters earlier this year which I really enjoyed. Even though this book was the first in the series, the order that you read them doesn’t really matter as the stories in each book weren’t particularly connected. I actually liked this book even more that Sisters and I thought it was a really graphic novel. 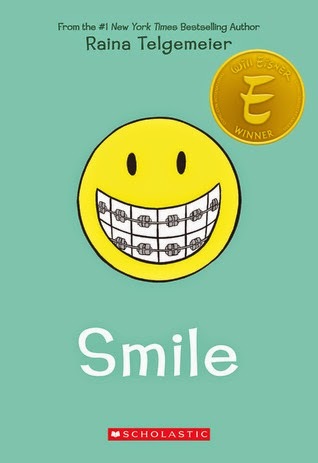 In the book Telgemeier illustrates her life from 6th grade to about her sophomore year and how she tries to grow up and enter teenage life whilst also dealing with the reality of braces which were often painful and inconvenient. Along her journey she learns a few things about friends, boys, dental trauma and survives an earthquake. It all starts when she trips and knocks out both of her front teeth (ouch!). Over the years she visits dentists, orthodontists and doctors who all try to help fix her smile. After trial and error, they find a way to give her a smile that maybe isn’t completely perfect but is good enough. She learns to be less self-conscious about how she looks and that maybe when it come to her friends, sometimes she needs to stand up for herself. I love the art work and I feel like the story was told very well at a good pace. I could really relate to Raina and many of the problems that she was going through at that age were similar to mine and I feel that a lot people could probably relate also. Overall, a really good read and I would definitely recommend it to people who like comics and graphic novels. First of all, hi! I’m Rose from Lovely Paranormal, and I’m doing a guest post on my personal biggest pet peeve as a blogger and reader. Enjoy! I really hate this type of situation. People who have never bothered to read the book, yet watch the movie and think they can say they “love” the movie, but not the book. In my eyes, readers are much more respective and they have more bad opinions about book adaptation movies, but the movie watchers don’t have anything to relate to, so they just go on about how everything is “perfect”. A great example is Percy Jackson. Yes, anyone who has read the books knows the movies aren’t that good at all. In fact, they’re completely different from the books. Yet, anyone who has just watched the movies can say that the movies are great, just because they look good. Not because the storyline followed the book. In real life, I come across this situation too many times, and it really frustrates me. In fact, sometimes it ruins my day. I believe the cinemas should only admit people to go see book adaptation movies if they can pass a quiz about the book. So, that’s just me. Thanks! 1. Twitter - If you're an author and you aren't on Twitter already, then you need it ASAP. This is probably one of the easiest ways to reach out to other authors and readers who might enjoy reading your book. You need to build friendships and engage with others so that they can get to know the person behind the book. Tweet for you, not your book. Sure, every now and then you can you can advertise your book but what's more important is making yourself look interesting and showing your personality. 2. Goodreads - As a Goodreads author you can find book bloggers who may be interested in reading your book. If you're looking someone will leave a good review which will lead to more people being interested in your book. Engaging with people on the group talk threads is as a great way to connect with readers and other authors. 3. Giveaways - This is ideal if you need more reviews. The best way to do this is to offer an entry into the giveaway if they follow you on a certain platform such as Twitter or Bloglovin'. 4. Start a blog - You're a writer so blog about it. Tell me about the journey you took writing your book. What are the best and the worst things about writing? You probably like reading too, so blog about that as well. Gain visitors and followers who appreciate your blog posts and then you'll later gain readers of your book. Think of your blog as a showcase of your writing and character. 5. Guest posts/interviews - Try to find a book blog which is interested in books that are similar to your writing genre. This way, when you write a guest article or interview with them, the people that read the post will be people that are likely to enjoy reading your book. 6. 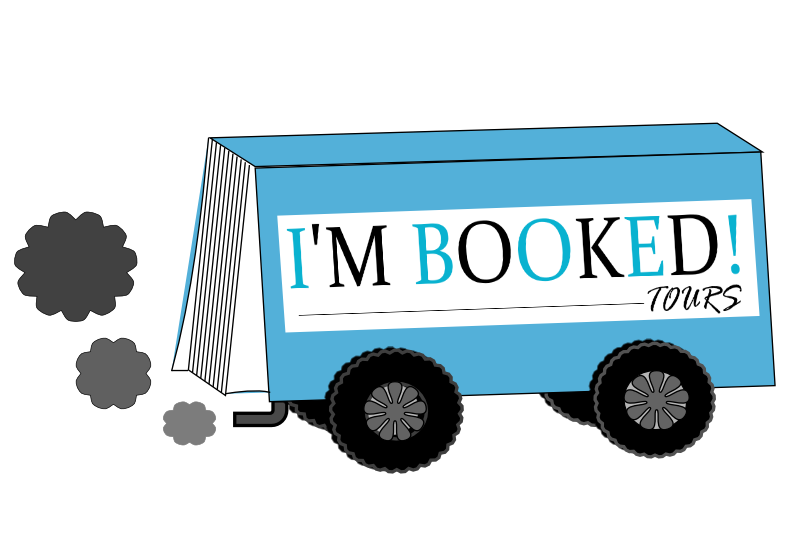 Virtual book tours - This is a great way to create buzz around your book because you'll have many bloggers promoting your book within the same time period. You can set it up yourself which will require sourcing bloggers who are willing to participate, creating banners, organizing giveaways and scheduling the tour yourself. This can be time consuming so an alternative that many authors choose is to hire a blog tour company to do it for them. Discussion: How often should you post? 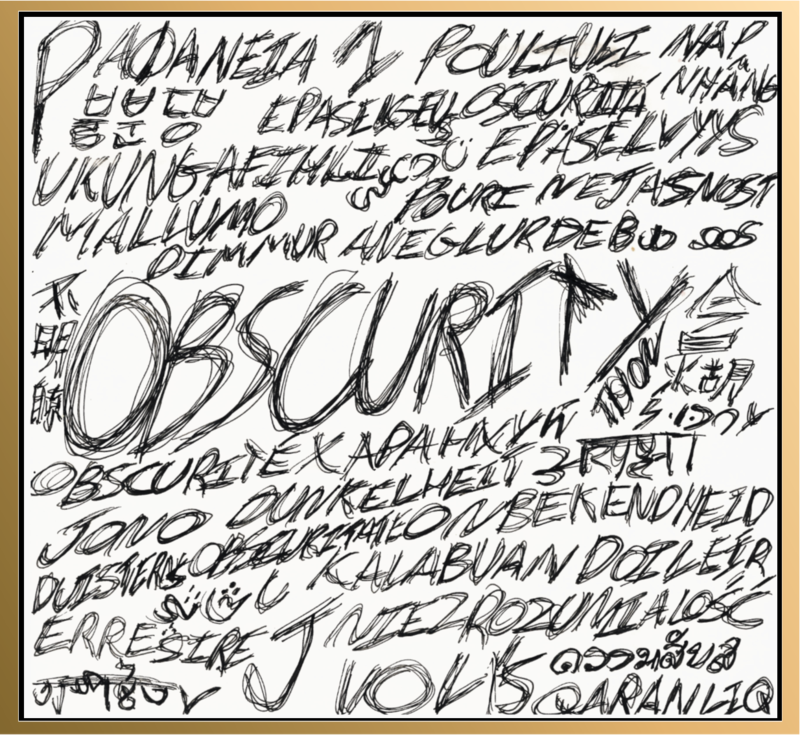 Okay, so when I first started out with this whole book blog thing a few years back (2012) I tried to post every day. I was enthusiastic and I wanted to post as many reviews and articles as possible. This lasted about two weeks when I realised how hard it was for me to post decent, daily content and keep up with school work at the same time. It was hard to keep up with other bloggers who always had new content but I realised I needed to find a blogging schedule that worked for me and wasn’t overly demanding. After all it is a hobby. I later decided I would post three times a week with at least one review a week. This was a doable amount of weekly posts for me and although I’ve been known to take a break or two from blogging when work has gotten on top of me, I always try to come back to the same schedule of three-ish posts a week. Sometimes more sometimes less but I always try to post something. 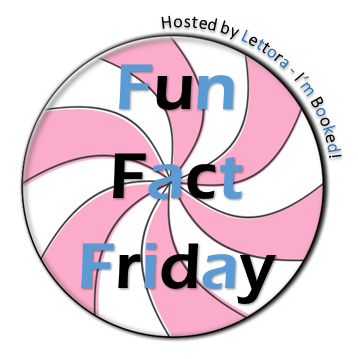 If one week I’m really busy then I’ll at least post a Fun Fact Friday because I tend to feel guilty not posting anything. How often do you think you need to post? 1. The sword-billed hummingbird is the only bird with a beak longer than its body. 2. The word "nice" used to mean "foolish, stupid, senseless." 3. For every grain of sand on every beach on Earth, there are 10,000 stars in the universe. 4. Over half of the world's population is under 30 years old. 5. Most of Antarctica is covered in ice: less than 1% is permanently ice-free. This is a fantasy story for middle grade and Young Adult readers. The Seahorse relates his interactions with a Mermaid and she regales him with stories about a few famous, and not so famous, women. There's some historical fiction and Australiana included as well as pirates, elves and leprechauns. Come on an adventure in the life of a seahorse and a mermaid and learn how the Mermaid teaches the Seahorse as well as transporting him to a place like the Bermudas. Michael Mardel implements a tale of philosophical proportions. Anthony Avina. Michael Mardel has been writing school textbooks for over 10 years. In between he has written 10 short stories around Australia, and a middle grade trilogy about a boy who leaves Melbourne for Broome, then back again to a farm and later overseas (everywhere Michael has travelled and then some). Michael has had many jobs but education covers about 15 years, 10 of which he was a teacher-librarian. He lives in Broome, Western Australia, with his wife, step daughter and two dogs. Sign up for the cover reveal of 'A Seahorse Tale' by Michael Mardel here. So you already know how to start a book blog. But why should you? Here I'll give you 7 reasons why you should start a book blog! 1. Free books – Duh, why else would anyone blog about books other than to get free stuff. In reality, although it looks like everyone’s swimming in ARC’s it takes a lot of work to get to the point where you can consistently get free books. Don’t do it for the freebies. Of course getting a book here and there is a nice perk but often you’re expected to write a review in exchange, so it isn’t completely free. 2. Getting you opinion out there – Reading other peoples reviews are fun but it’s nice to get the opportunity to share your own opinion and see what people think. Do you hate a book that people love? Do you love a book that people hate? Then tell me about it, not only that but you can even help people find a new book to read. Many of the books I read are recommendations from other bloggers and I find the easiest way for me to stay up to date with new and popular releases is through looking at other blogs. 3. 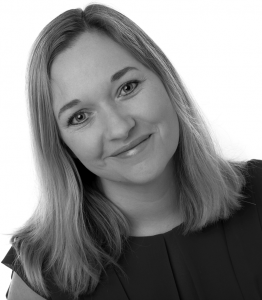 You’ll make friends – Book bloggers are some of the friendliest people I’ve met. They like to help each other out and give each other tips on how to improve. Not only that but they are generally good at having different opinions and remaining amiable. You didn’t like that book that I gave 5 stars? It’s cool, we’re still friends. I know that obviously these don’t apply to every blogger out there book I’d like to think that book bloggers, as a whole, are a pretty friendly bunch. 4. You’re a writer – I’ve noticed that the book blogging and writing communities often overlap because naturally many writers like to read and readers like to write. If you’re a reader and a writer then book blogging is a great way to get connected with both communities. 5. Discussions! – I love discussions. They’re just so fun to take part in. You can start you own or join in someone else’s but everyone has an opinion and it’s fun to see what everyone else thinks. You don’t necessarily need a blog to join in a discussion but being a blogger means you can ask your readers questions that you want to hear answers to. 6. Blogging beyond books - Who says you can only blog about books? Books are just one thing that you like. What about film, TV, music. You can blog about you daily life, maybe something happened that you want to tell us about. Books are great but don’t feel restricted because it’s called a book blog. Write about whatever you want, that’s what makes everyone’s blog different and interesting. 7. It’s fun – Okay, obviously it’s a lot of hard work. But it’s so worth it. When someone leaves a comment telling me that they liked my article or review or when I get an email telling me that I helped someone find a new book to read it makes me feel good. You only have to work as hard as you want to so everything is on your own terms. If you love reading books then I’d give it a shot.